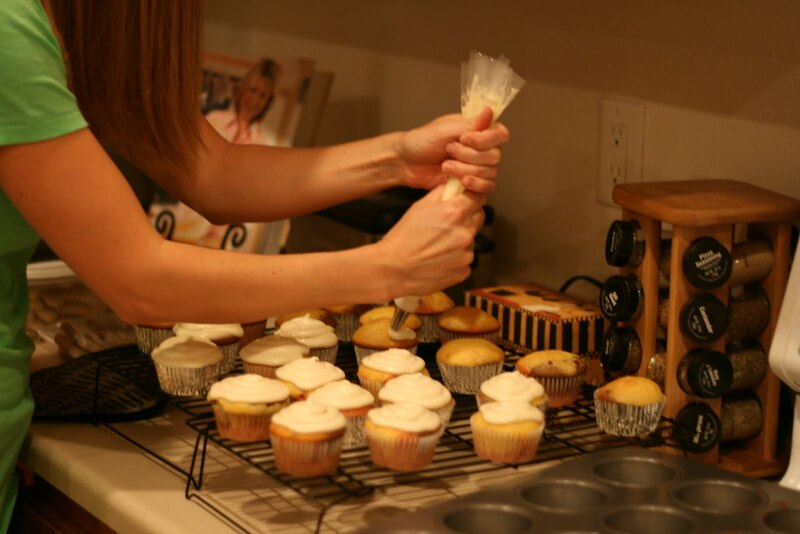 Cupcakes and a Sangria Recipe! 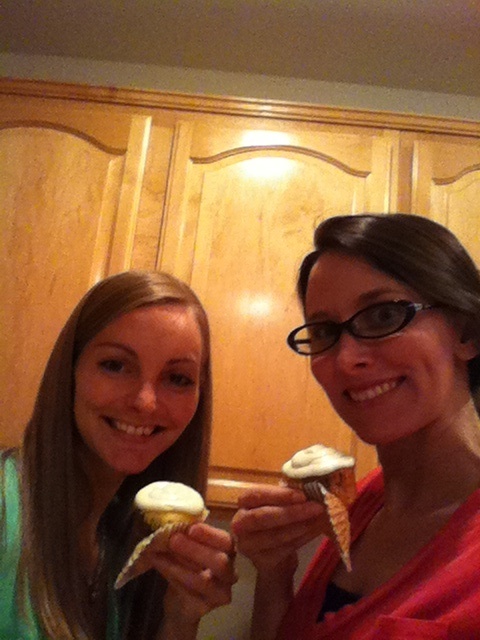 Last Saturday night, I went over to my bff Katie’s house for a girls night of cupcake and sangria making. 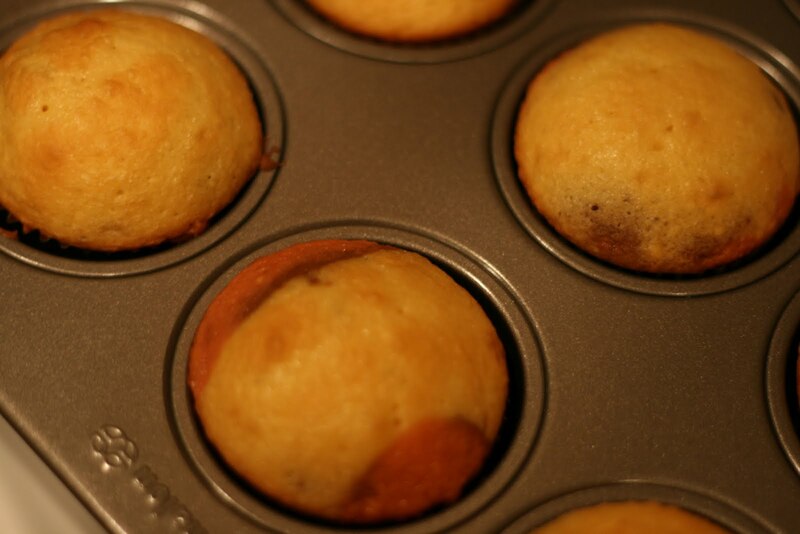 Ever since I found Courtney’s recipe for neapolitan cupcakes I knew I had to make them! Katie is uber talented in the baking department, for her birthday we went to a cupcake decorating class and I bought her cupcake decorating tools. Since we were going to a friend’s bbq/pool party on Sunday we decided it was the perfect time to make the neapolitan cupcakes. I’m not going to show the recipe here, Courtney does a great job of going over all the details on her blog, which you can check out the post here. 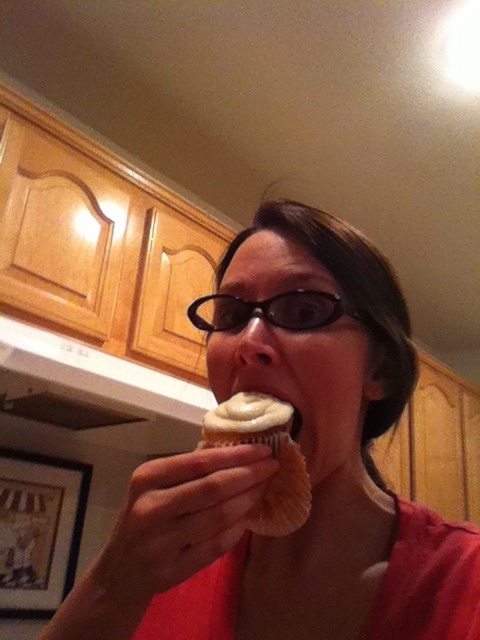 And if you’re looking for all around great recipe ideas, especially cupcakes, Courtney’s blog is the place to go!! She was also super helpful when I had questions about making these cupcakes (she answered my emails in literally minutes). 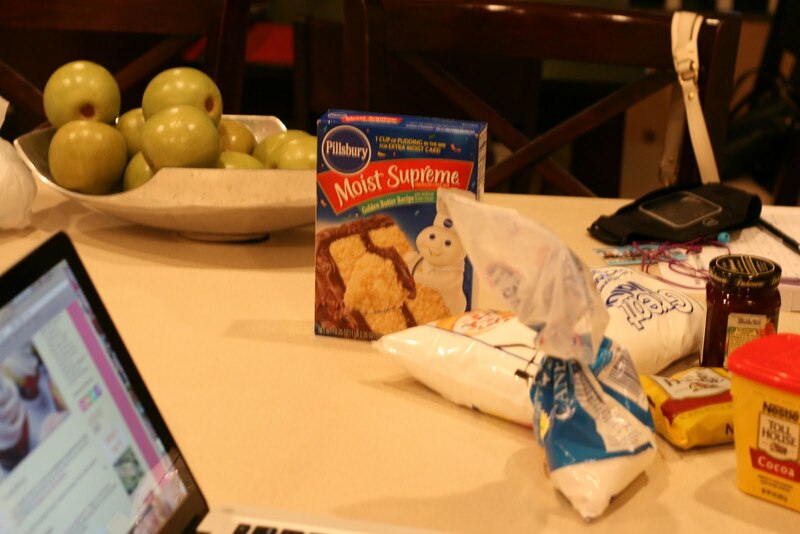 Here are some pics from the cupcake making… then we’ll get to really good part! the sangria recipe! 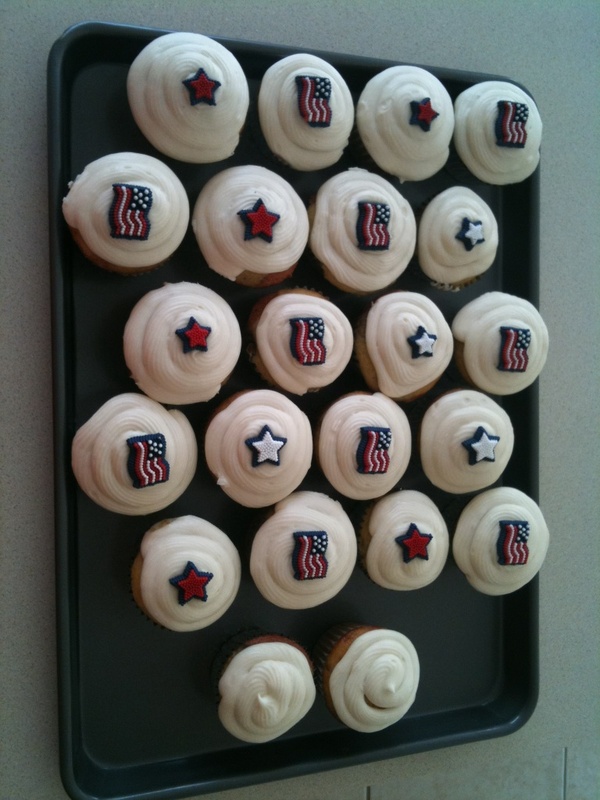 These cupcakes are sooo sooo good! And only took us a couple hours to do and gave us plenty of time to catch up! While we were waiting for the cupcakes to bake and cool, I made sangria. I had made sangria the week before and tweaked the recipe a lil bit. 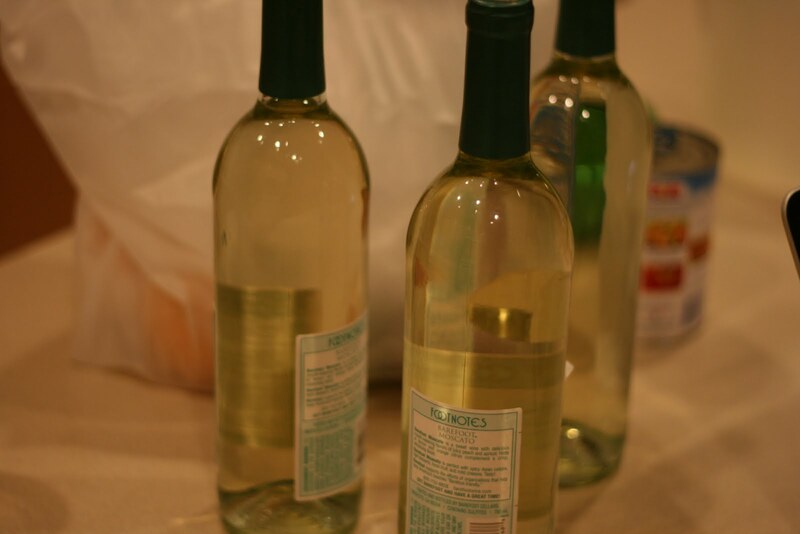 3 Bottles of Moscato wine, I prefer barefoot! Cheap and yummy! 4 or 5 shots of coconut rum, I used Malibu since that’s what Katie had at her place. I bought my pitcher for $2 at Walmart, it’s plastic and cheap but if you’re bringing it to a party you don’t want it to get broken! I have some extra fruit on here but only ended up using what I listed above. I start by putting the can of pineapple chunks in first. 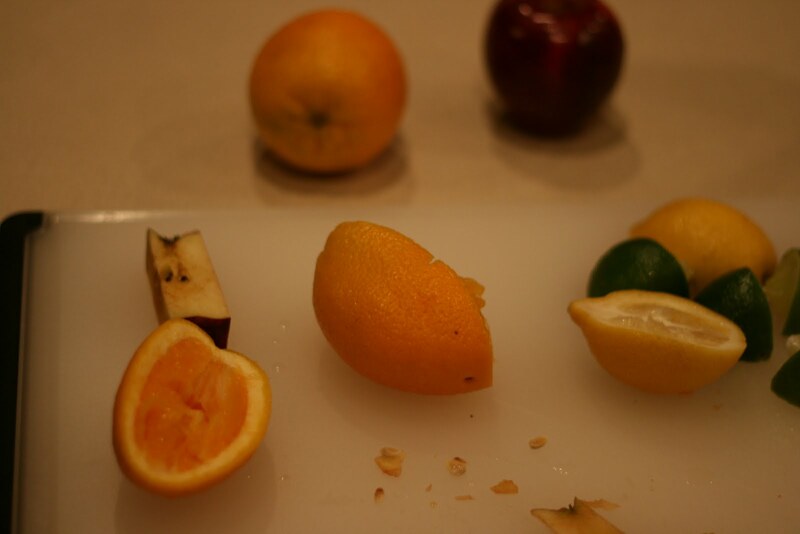 Next I cut the orange, lemon, and lime in half and squeezing those into the pitcher. I don’t like a lot of pulp in drinks, so that’s why I don’t put the wedges in the pitcher, just the juice. 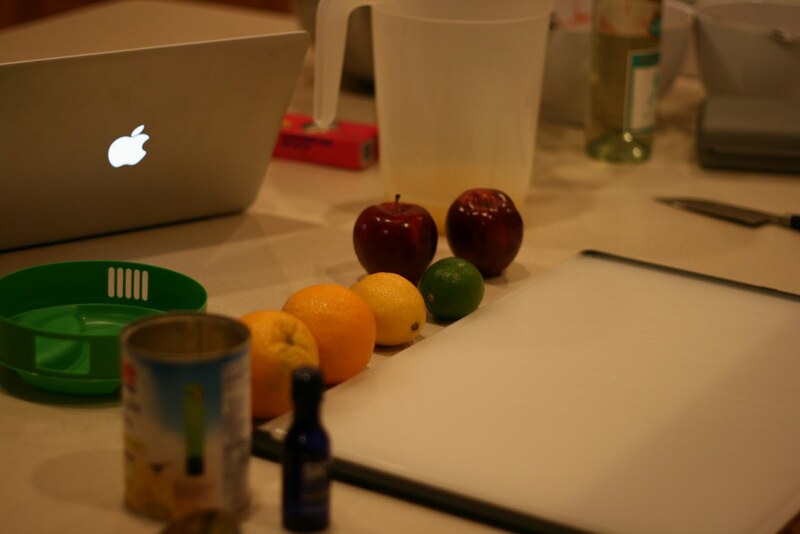 After that I cut up the apple and put all the chunks in the juice. Next I pour the wine and malibu rum in. You let that sit overnight in the fridge (if you want to drink it that same night, just place in the freezer for a lil while). Right before you’re ready to serve pour in the 20 oz of sprite. It makes the sangria bubbly and delicious (you can use ginger ale if you prefer, but the sprite has a better flavor in my opinion). Serve over ice. The sangria ends up filling up a gallon pitcher. This was gone within a few hours at the party! I will definitely be making this more!! 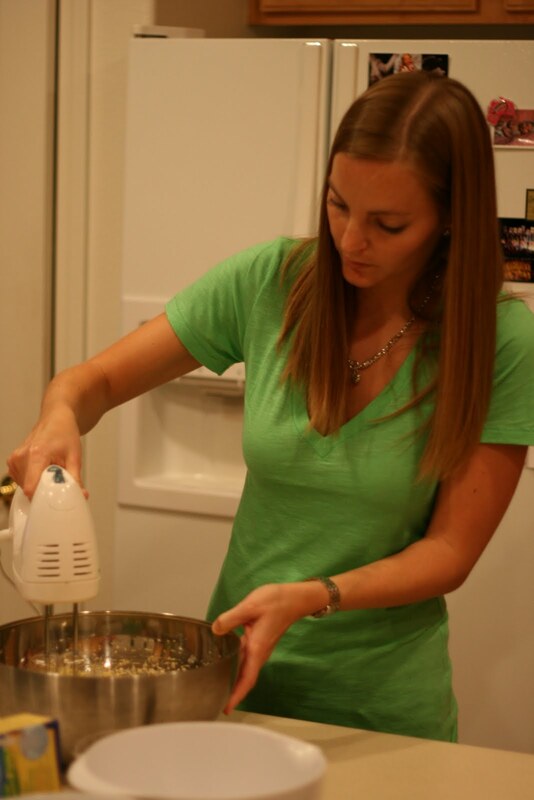 And don’t forget to check out Courtney’s blog at Sweet Tooth, Sweet Life! !